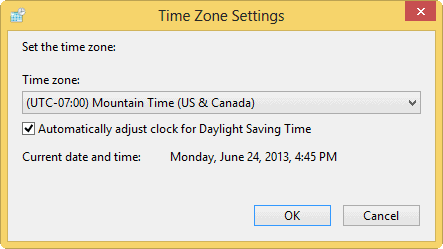 You never know when you’ll need to change time zone and date on your PC. 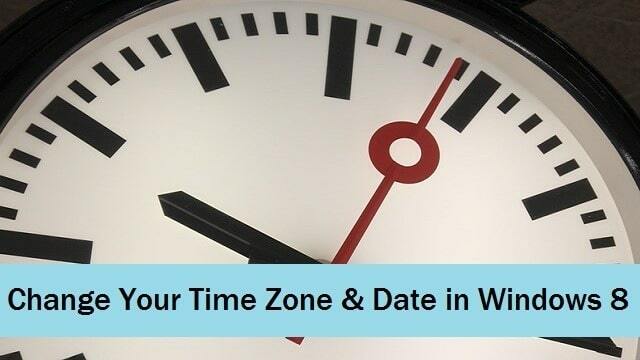 Maybe you’re traveling, maybe you’ve relocated, whatever the reason, we’ll show you how to change the time zone and date in Windows 8. 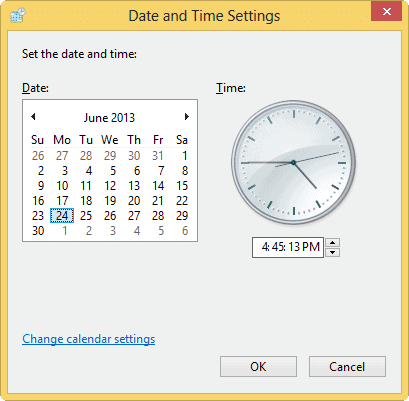 Windows 8 makes it easy to change your time zone and date settings. You can follow the same steps in Windows 7, too. If you’re looking for an even more thorough time experience, you can also enable Internet time sync in Windows 8 for a more accurate time display. So, no matter what the reason, you can quickly ensure your on time no matter where you are in the world. 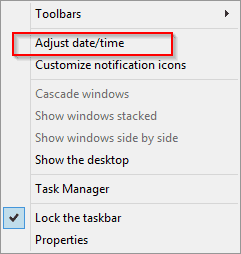 Head to the Windows 8 desktop and head to the date and time on your taskbar. This’ll let you change the current date and time. This can be useful if you’re traveled across time zones or just notice the time is out of sync for one reason or another. You can choose the date by clicking on it, and you can use the arrows to either side of the month to go forward and backward as necessary. You can move the hands on the clock or type in a time of day. Click “OK” to save your date and time settings. 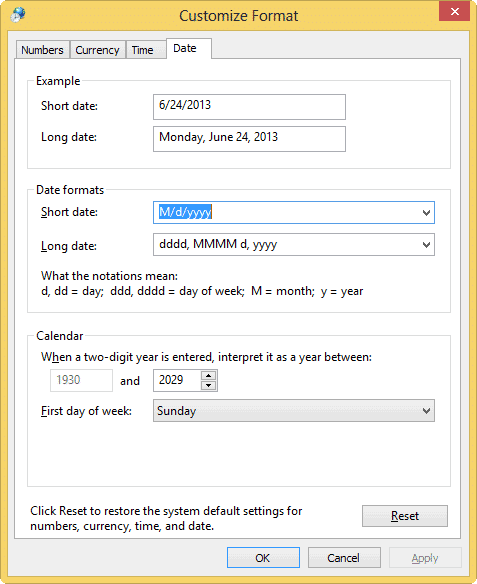 Click on “Change calendar settings” for more advanced options. Click on “Date” once you open those settings. From here, you can change a variety of settings such as the short/long date display and how to interpret the last two digits of a year. Remember to click “Apply,” then “OK” to save these settings. That’s it to the date settings in Windows 8. Click on the drop down menu next to your current time zone. You can then go through and choose the right time zone for your current location. Select the time zone and then click “OK” to set it. Changing your time zone is simple and quick, as you can see from the steps above. 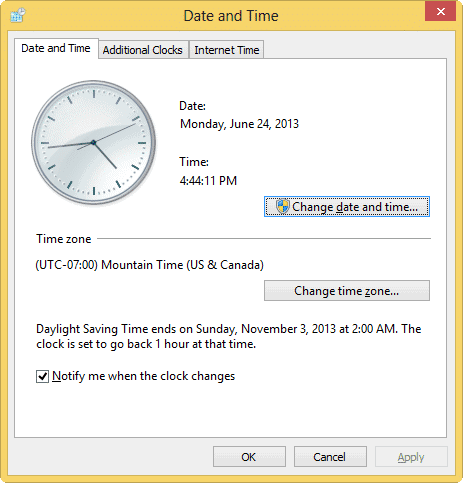 Why would you need to change the time zone and date in Windows 8? When you’re traveling or you move to a new location, your computer doesn’t automatically realize you’ve done so. While you set up your new PC, it’ll link up to where you live in the world based on what information you’ve inputted, your computer doesn’t know when you’ve changed locations. If you travel frequently, or have moved, you’ll need to change your time zone and date to accommodate the change of scenery. 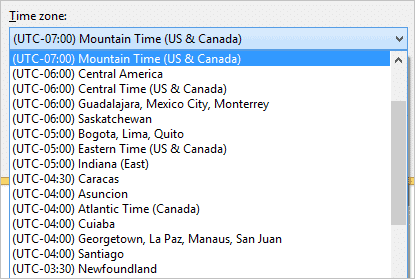 You could even add additional clocks to cover all the time zones you move through in Windows 8.